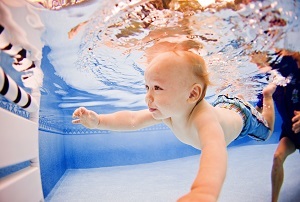 Infant Swimming Resource is the most comprehensive drowning prevention program in the world. 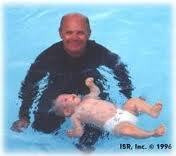 It teaches specialized survival swimming lessons to children ages 6 months to 6 years old. Over 7 million safe and effective lessons have given children aquatic independence, backed by over 45 years of research and development. ISR History: Founded by Harvey Barnett, Ph.D. in 1966, ISR endeavored to put an end to a preventable tragedy…childhood drowning. Barnett witnessed the aftermath of this tragedy after a neighbor’s 9 month old son reached the water alone. From that point on, Barnett vowed to do everything possible to ensure that Not One More Child Drowns. A behavioral scientist by trade, Barnett adapted his theoretical knowledge of learning to pioneer the ISR Self-Rescue™ method used by ISR today to teach infants and young children to save themselves should they reach the water alone. Fortunately, what began as one man’s mission has transformed into a worldwide organization that is continually making large strides toward the day that Not One More Child Drowns. To date, ISR has 790 documented cases of children using ISR’s survival swimming techniques to save themselves from drowning. ISR Lessons are available year round. You’ve seen it before, your toddler walks right to the edge of the pool, ready to jump in, whether or not you are there to catch him. His confidence is beyond his skills. ISR training for children between 1 and 6 years of age uses their confidence to help them build competence and the skills to ISR Self-Rescue™. Your ISR Instructor will work with your child’s initial skills to help him or her gain both competence and confidence around the water. ISR has a deep passion for water safety and will not make your child over-confident or fearless, but will educate your child and teach them a healthy respect for the water. 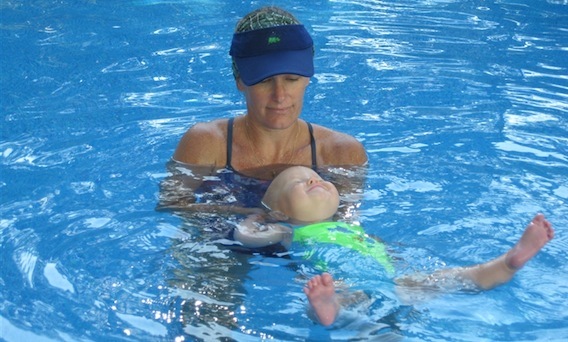 Children over 1 year learn the following sequence during ISR’s Self-Rescue™ swimming lessons. With these skills your child will be able to swim independently and learn to move at his or her own pace toward the safety of the side of the pool or the shores of a pond or lake. Call The Swim Lady at (252) 202-2000 for more information. “We have been so lucky to have been a part of ISR. 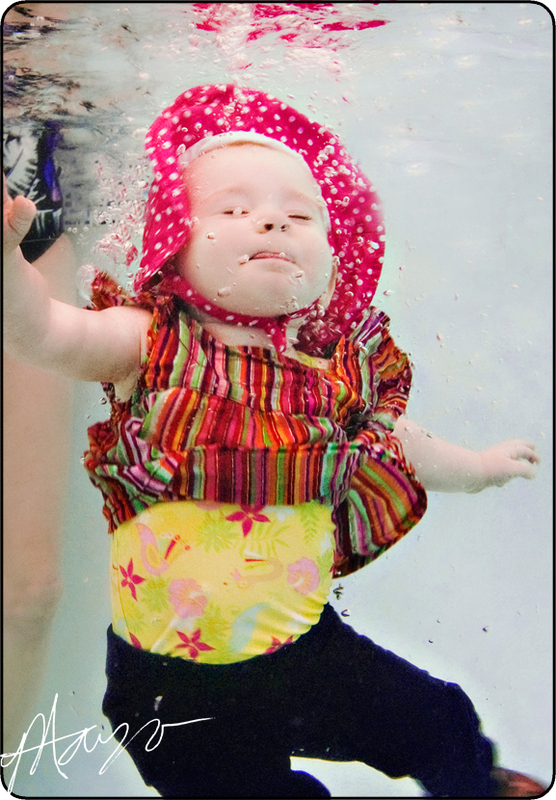 Christen has done such a wonderful job with teaching Poppy, our 10 month old how to float. I’m amazed at how quickly Poppy is learning, she even practices in the bath tub, she’ll sit, lean back, float and laugh. She is so much more confident in the water, it puts me at ease knowing that we’ll be out on the boat and on the beach this summer and she has this skill. It’s the best decision we have ever made!”-Brooke M.
“We could not believe it when we found out that there was an ISR Instructor here on the Outer Banks. We had researched the program before our daughter was born and really wanted her to learn the infant swim resource at a young age. We were so excited and pleased to hear that Christen was offering lessons here on the beach! We found out about her ISR certification through a donation that she made to a silent auction at a fundraiser. We immediately enrolled our daughter at 6 months old. ISR was an amazing experience! It was a wonderful way to introduce our daughter to the water as well as teaching her survival skills in the slim chance that she would encounter a water emergency. Christen developed a caring and trusting relationship with our daughter both in and out of the water, allowing her to gain ISR techniques in a positive and encouraging environment.”-John & Jessica L.